This is a photo of the main hall of Dong Zhen Temple, at Jenjarom, Selangor, Malaysia during the Chinese lunar new year. 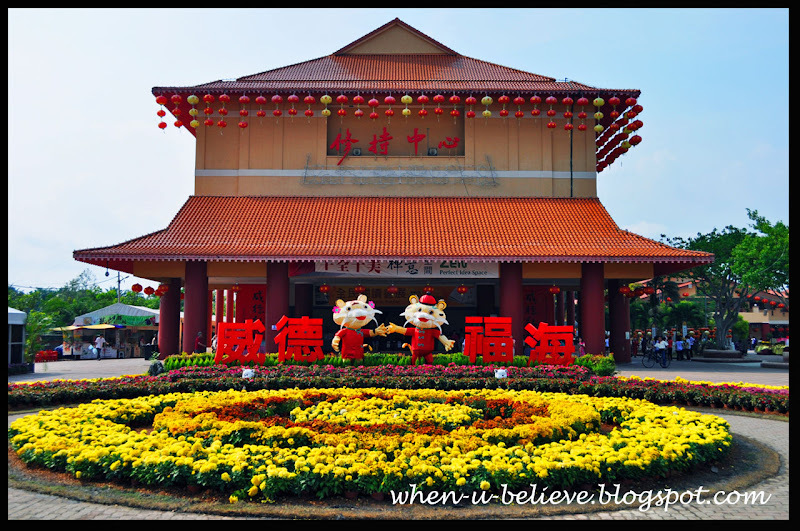 It is a buddhist temple beautifully decorated with fresh flowers and lanterns during the Chinese New Year. Various activities, performances were also held as thousands of visitors enjoy the festive season. For more post of Mellow Yellow Monday, click here or the following icon. What a beautiful shot. Beautiful building. Very colourful shot, nicely done. Thanks for dropping by my page. Great shot! What a beautiful place to visit! All pictures and contents are copyrighted (unless otherwise stated) and may not be reproduced/ used on another site without my approval. Images had been resized to allow faster loading.